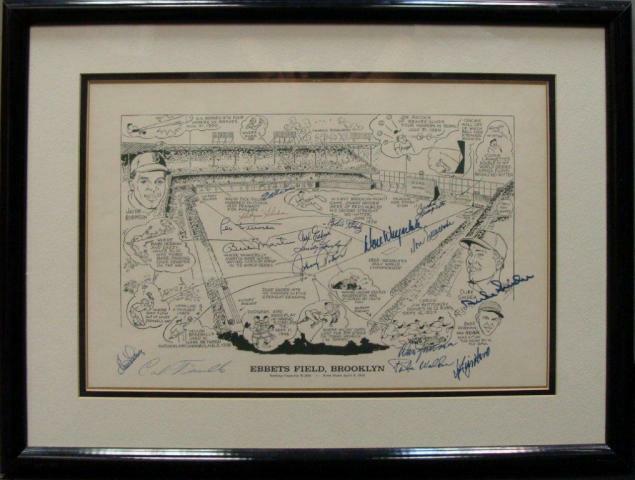 These are the photos for the Ebbets Field Framed Drawing with 17 Signature from some of the greatest players to ever play for the Dodgers. 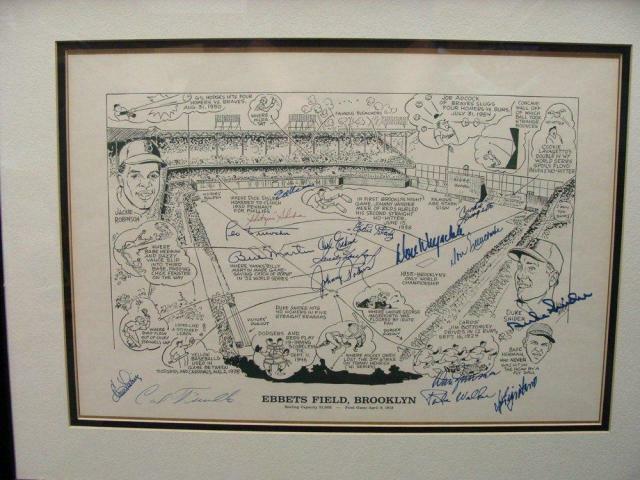 Players signing this fine piece are Clem Labine, Carl Furillo, Billy Martin, Leo Durocher, George "Shotgun" Shuba, Ed Roebuck, Eddie Stanley, Carl Erskine, Sandy Koufax, Johnny Podres, Don Drysdale, Don Newcombe, Don Zimmer, Cookie Lavagetto, Duke Snider & Rube Walker. 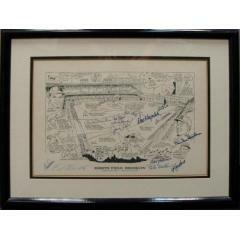 A Full Letter of Authenticity from PSA/DNA is included with this fine piece of historic memorabilia. Due to the rare nature of this item we will charge your credit card for the full price immediately upon taking your order. This policy ensures we reserve the the piece for you. We will confirm your order by Email. Please allow at least 1 week for delivery.